A deep chasm adds to the immense depth of this reefscape. Image capture from Ari’s 500-gallon reef tank, by Christopher Jason Studios. 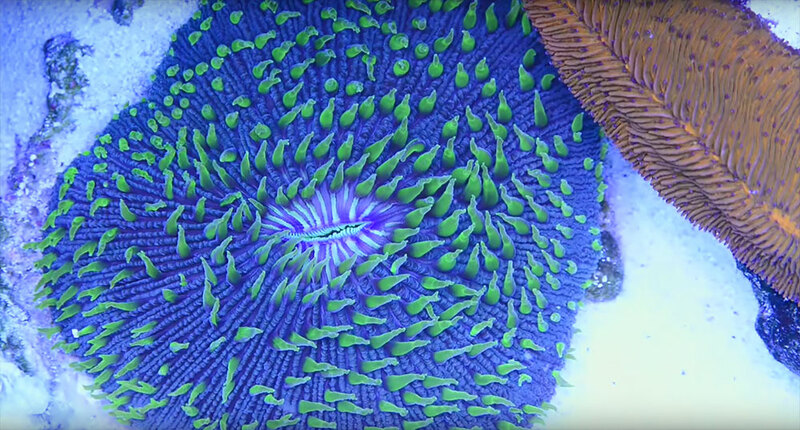 This top-down footage, taken by Christopher Jason Studios in Jason Fox’s 400-gallon reef aquarium, captures cnidarians in a riot of color and patterns. If you pay close attention to CORAL Magazine, you may have noticed the photographer credits located in the lower inner margins of most pages. And if you were paying really close attention to the photographers credited, you may have caught the mention of Christopher Jason Studios, which happens to be the talent responsible for the stunning images shown in our REEF VISIONS column, specifically the ones from Jason Fox Signature Corals. 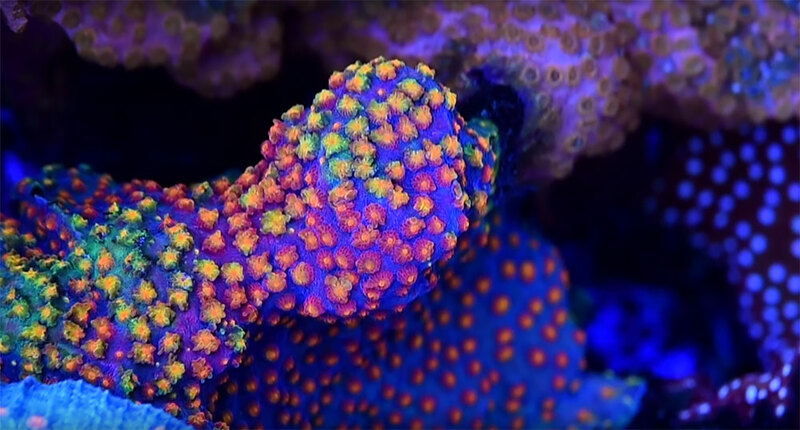 Still image capture of a stunning Acropora filmed in Jason Fox’s 400-gallon reef aquarium. While it shouldn’t surprise anyone, it turns out that Washington, D.C.–based Christopher Jason happens to be quite skilled with video production as well, a fact we only discovered when one of his reef aquarium videos “played next” as a random YouTube video during a search for something else. 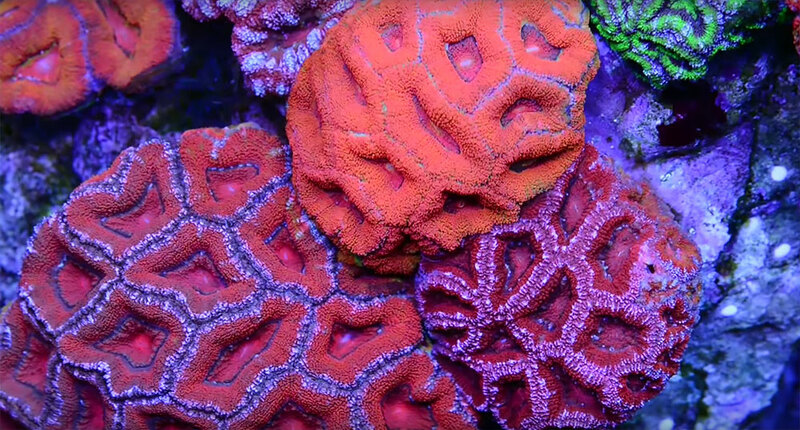 Mind-blowing Cyphastrea, once again still image captured from the footage of Jason Fox’s 400-gallon reef tank. The many shades of red on display in Ari’s 500-gallon tank, as filmed by Christopher Jason Studios. It appears that Christopher Jason is not averse to going great distances to capture something magical (according to the studio website, photography has taken the artist to “Indonesia, Puerto Rico, Ghana, Jamaica, the Bahamas, and all over the US”). 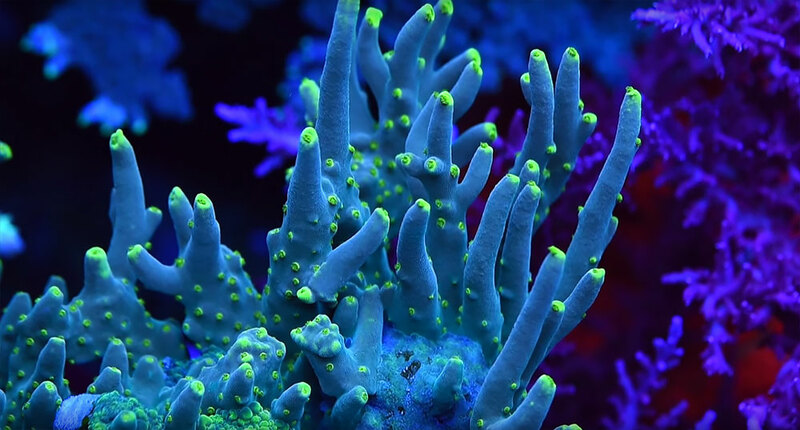 Given all that, once your reef tank hits that pinnacle of perfection, you might just want to hire Christopher Jason to immortalize your own living work of art. 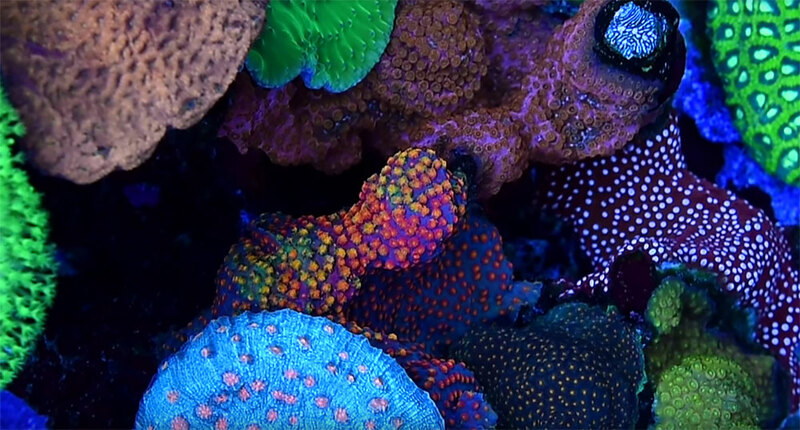 Look at this show-stopping Fungia, a screen capture from Ari’s 500-gallon reef tank, by Christopher Jason Studios. 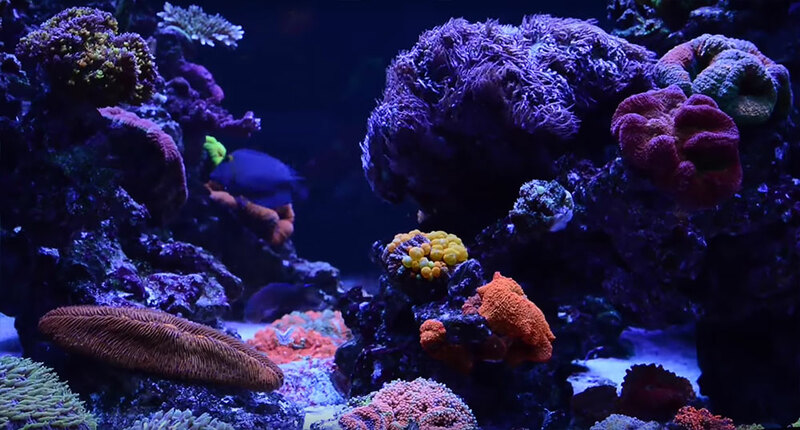 There isn’t a ton of content on the YouTube channel showcasing the reef aquarium work of Christopher Jason Studios, but some of what’s there is exceptional. Here are two that are arguably the best of the best.